Kasunjith Satanarachchi is a UN Volunteer currently serving with the United Nations Development Programme (UNDP) in Sri Lanka under its Youth Lead programme. It has been a long journey for him to get to this point, Kasunjith reminisces. 28-year-old Kasunjith Satanarachchi, sits back and reminisces of the long journey it has been to get to this point. 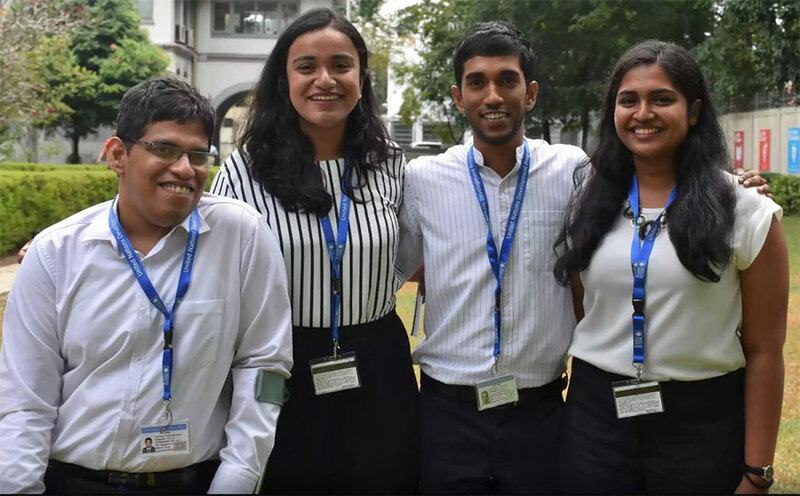 Kasunjith has cerebral palsey and while majority of persons with disabilities living in Sri Lanka choose not to pursue their studies, he was determined to prove everyone wrong. The majority of Sri Lankan schools are not equipped and lack training to teach children with disabilities. He then enrolled himself to the Gurulugomi Maha Vidyalaya, an advanced level school supported by the ICRC. The administration was more welcoming of him, provided special washroom facilities and it is here that he completed his studies by passing the GCE Advanced Level examination with 1A and 2Bs as results. With his excellent results, he had the opportunity of entering a state university. However, due to the stringent regulations for applicants with disabilities, he was given limited subject streams to choose from. Kasunjith showed a great interest to pursue Law after having studied Logic and Poltical Science in school, so it was a disappointing realization with the limited allocations for students like him. He decided to enroll himself in a private university which offered the Staffordshire University degree. It was here that he felt like he was finally accepted. As a part of this programme, the UNDP Youth Leads programme saw the inclusion of a young individual with disabilities this year. When Kasunjith saw the advertisement for the programme, he completely dismissed the possibility of him being able to qualify for the position. It was his friend who prompted him to apply for the vacancy. "I couldn’t believe it when I got the callback for an interview,” Kasunjith shares. From then on, everything else just fell into place and the third batch of Youth Leads came on board in August 2018.